NASHVILLE, Tenn. (July 14, 2014) — It took Kenny Chesney time to find the songs that would become The Big Revival. But given the success of “American Kids” topping the Soundscan Digital Country Songs chart for the last two weeks since and hitting country radio hard, it’s obvious forging new paths is working for the man who’s been called “The People’s Superstar” by The Los Angeles Times. To that end, Chesney chose a portrait of the bus from his freewheeling “American Kids” video, a vehicle both loaded with meaning and recast in ways that defy description. Transformed by the crazy paint job Chesney himself helped create, the bus becomes a transport to a world where everyone can explore their potential and celebrate being alive. Country Music News Blog participates in advertising programs that help fund the operation of this site. For more information please visit our privacy statement. 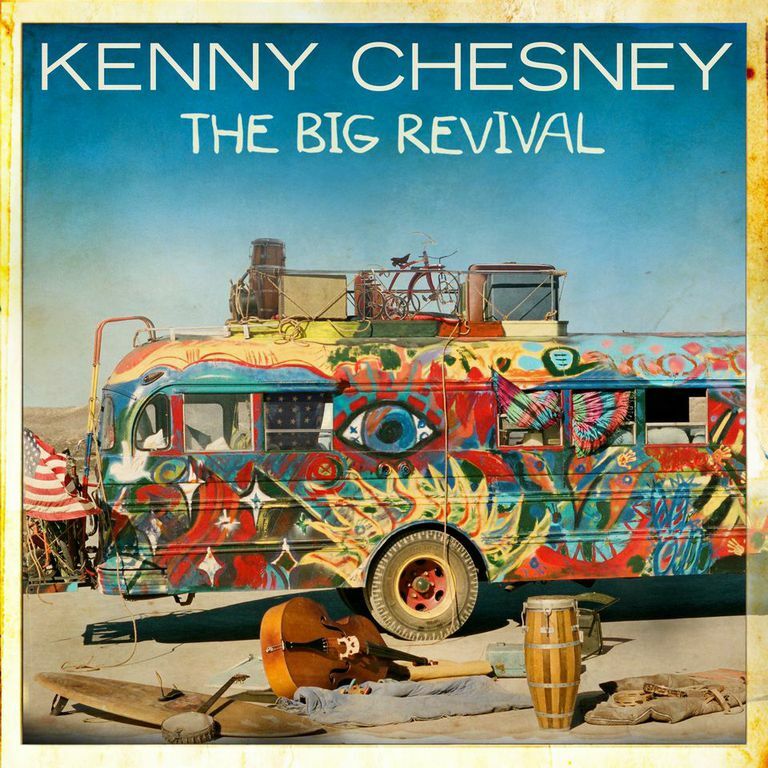 This entry was posted in Featured, Kenny Chesney, New Music by Country Music News. Bookmark the permalink.